Just when it looked like the Pens could get ahead, Albany found a way to come right back and put the Pens away 4-3 in Game 1 Wednesday night. 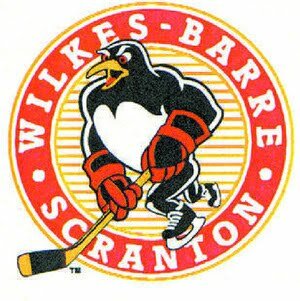 Down 3-2 in the closing minutes, Wilkes-Barre Scranton pulled goaltender Brad Theissen to get the extra attacker on the ice. After a bit of passing, Nick Johnson was able to find the back of the net with just 1:24 to go and spark a great celebration with his teammates. Perhaps, they may have done too much celebrating and forgot that there was still time on the clock, and Albany certainly made them pay. While still sorting out and announcing Pens goal, Albany's Nick Dodge picked up the puck and managed to skate past the defense into the offensive zone. He then beat Brad Theissen to reclaim the lead just 33 seconds after the Pens tied it up. It was the second of the game for Dodge, who also scored midway through the second period. Other Albany goals were scored by Jamie McBain and Jacob Micflikier. For the Pens, Johnson had two goals and Mark Letestu also contributed a goal, but all for naught in the end. It was not a bad performance from Theissen, however, who made 34 saves but came up just a bit short at the end. Albany's Justin Peters got the win, making 30-33 saves for the Rats. The WBS Pens next play Game 2 Friday night in Albany. It may not be "must win" territory yet, but a win could very likely make all the difference when "push comes to shove" later in the series.